When you’ve got a cookie craving that needs satisfying, but you want something a little healthier than what you’ve got squirrelled away in the back of the cupboard. 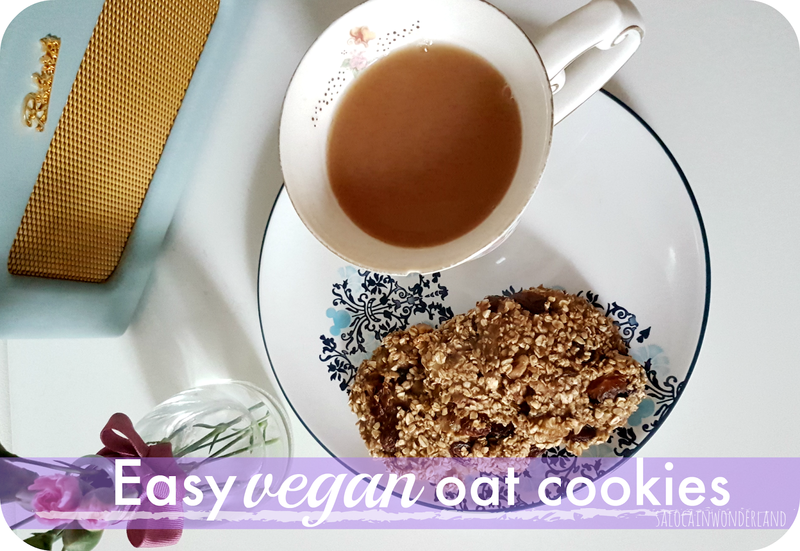 With a handful of store cupboard ingredients, I love whipping up these last minute, easy vegan oatmeal cookies. 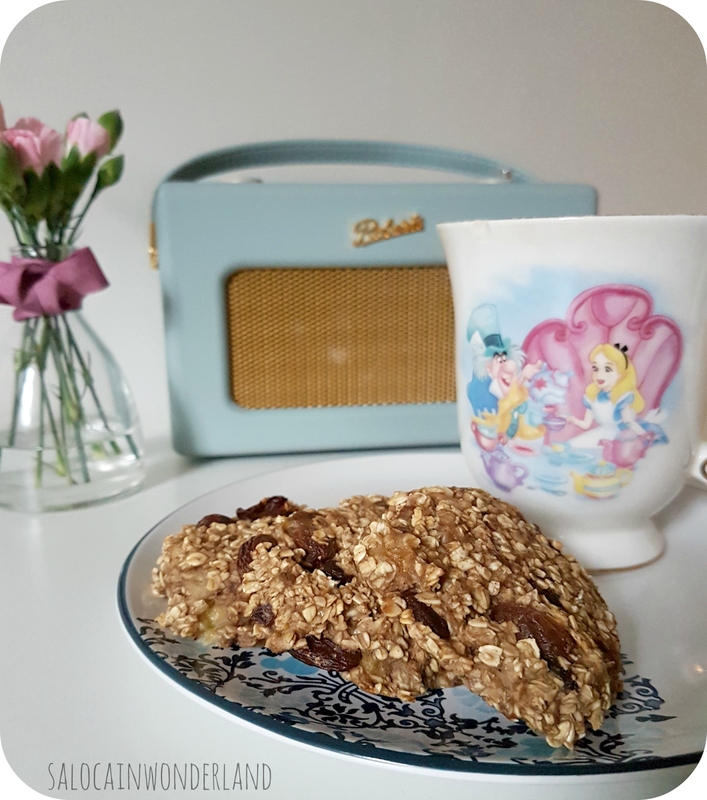 Perfect if unexpected guests drop by for a brew, or if you just need a comforting cookie moment to yourself. There’s nothing better than a mid afternoon cup of tea and a slice of something sweet. When the weathers so cold and miserable, I’m more likely to reach for the sugary sweet treats than I am for something healthy. So it’s a bonus when that something sweet can be a healthy choice too! The fact that these are out the oven and set up next to your brew in under 20 minutes is an even bigger bonus. They’re perfect for throwing in when the family stop by, served up straight from the oven when they’re still warm, it’s the perfect treat - and the smell of baked cinnamon drifting around the house is better than any candle you could light. 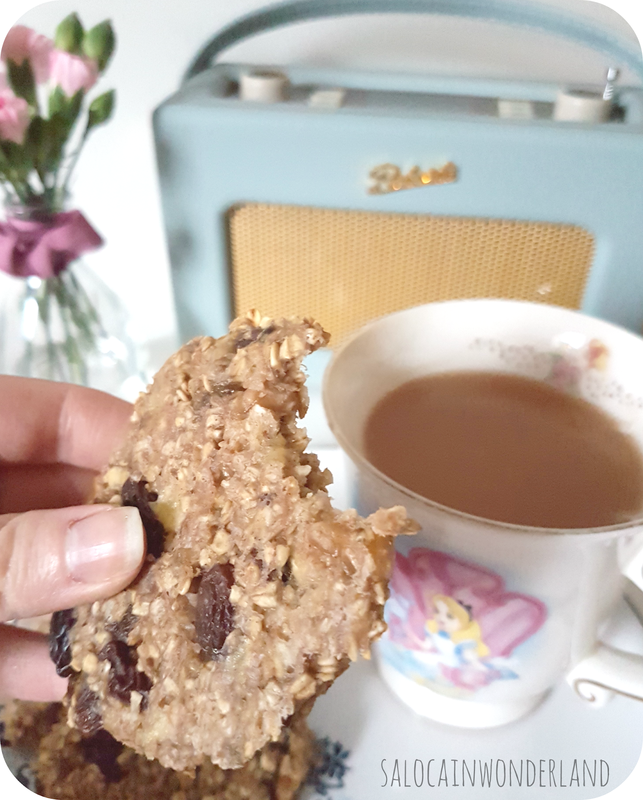 This batch makes about 6 big chunky chewy oatmeal cookies, but you could easily split them into 12 smaller treats, perfect for lunch boxes and travelling. They remind me of the Subway Oatmeal and Raisin cookies, but with a lot less sugar in! Pop your oven onto 180. Peel and smash up your bananas in a mixing bowl. When they’re good and mashed, add in the rest of your ingredients and mix really well until it’s all combined. You want the mixture to look a little wet. Line a baking tray with greaseproof paper. Spoon the mixture onto the paper, flattening and shaping the cookies how you like them. I don’t like making them too perfect looking, they’re much more fun when they’re a little rough around the edges. They won’t spread as they cook so don’t worry about having to leave too much room between them. Bake in the oven for 12 - 15 minutes, until the oats brown and the edges crisp. It’s worth letting them cool on the baking tray once they’re baked, before transferring to a wire rack. They’re delicious warm, but if you’re saving them for later, let them completely cool before storing in an airtight container. They’ll keep for about 3 days! Pair them with a tea, pair them with some freshly ground and brewed coffee. Have them for breakfast. Have them as a midday pick me up or a midnight snack. They’re gooey, chewy and full of flavour! The banana/oat combination makes a great base for super easy bakes so I can’t wait to play around with a few other flavour combinations! I don’t know the ins and outs of the macros, but I’m pretty sure these little guys are weight watchers friendly, low syn, low calorie, and much better for you than a store bought version! What would be your go-to comfort cookie combination? Aww, they look amazing and the cookies are healthy too. I'll have to try this recipe. I love that they're so healthy, so I don't have to feel so guilty about devouring a whole bunch of them haha!